Originally published in 1953, Saul Bellow's modern picaresque tale grandly illustrates twentieth-century man's restless pursuit of an elusive meaning. Augie March, a young man growing up in Chicago during the Great Depression, doesn't understand success on other people's terms. Fleeing to Mexico in search of something to fill his restless soul and soothe his hunger for adventure, Augie latches on to a wild succession of occupations until his journey brings him full circle. 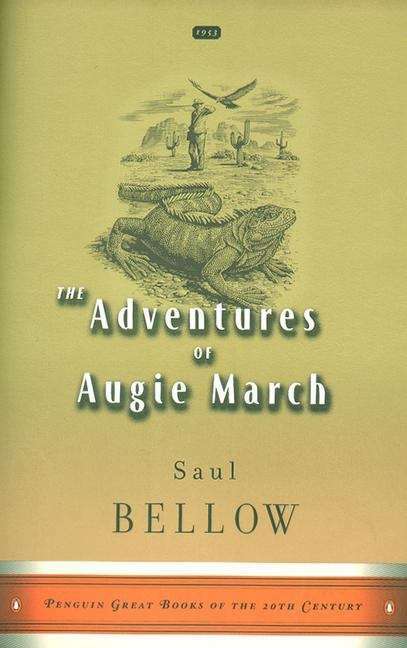 Yet beneath Augie's carefree nature lies a reflective person with a strong sense of responsibility to both himself and others, who in the end achieves a success of his own making. A modern-day Columbus, Augie March is a man searching not for land but for self and soul and, ultimately, for his place in the world. I don't know what all the literary fuss is about concerning this book. Characters are often exquisitely drawn, but the plot is thin and Bellow frequently seems intoxicated by the sound of his own voice.